As we already know, the Governor ends up surviving and quickly drives off without the viewers actually knowing where he drove off to. It was recently announced that David Morrissey will be reprising his role for the show’s fourth season, and you already know what that means, don’t you?! Drama, drama, drama! As of yet, it is unclear whether or not David will be a regular in the show or if he’s just there to cause problems, but whatever the case, he’s definitely going to have some kind of conflict with Rick and the gang. 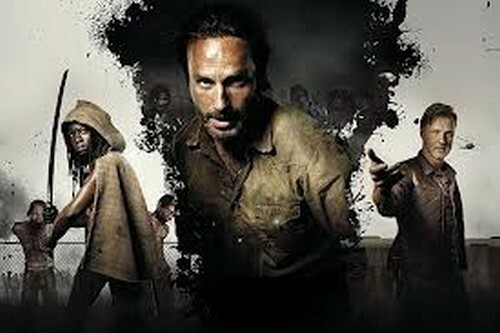 Word on the street is the war is not over, Rick and the gang won the first round but there is more to come. Now that the two groups have joined together (Woodbury & Rick’s gang) they have to learn to live together, so that should add new dynamics to the show. Also Carl has changed at the end of Season 3 he killed a boy, because he said he had too. Rick is worried about him. How will Carl change? Will he become the governor or will he become Rick? Oh man, so many possibilities. We’re just going to have to wait until next season. But while you wait we have a fantasic video below which has tons of spoilers about what is going to happen next season. What did you make of last night’s episode? Did you love it as much as we did. We certainly think it was the best episode of the season so far.